The battle is on with many homeowners has become all on war with the HOA and the American Flag. 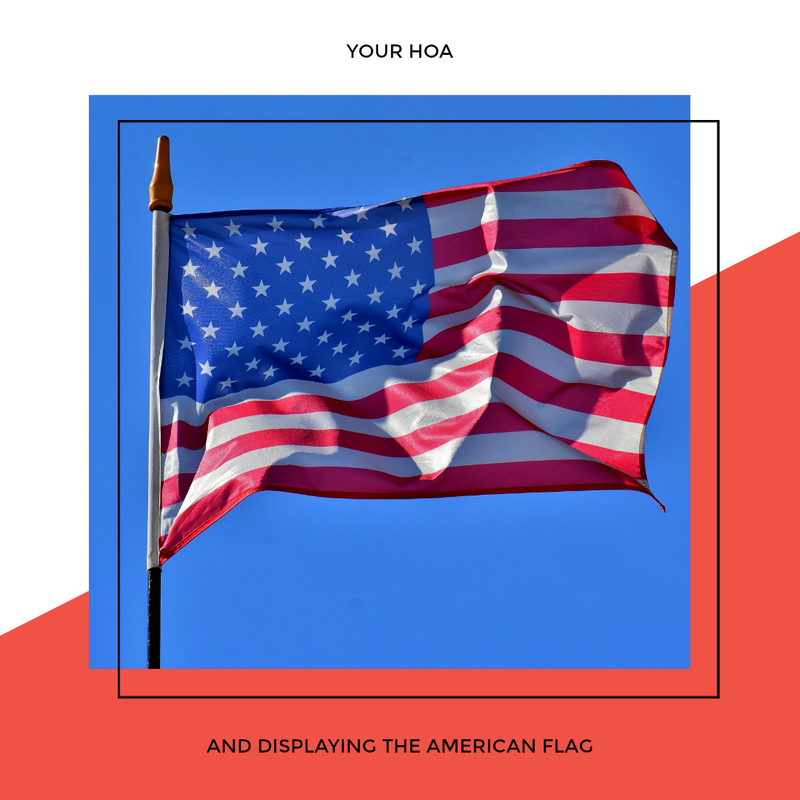 With the 4th of July being right around the corner, now is the perfect time to talk about the American Flag and your HOA. I had a client call me to ask can the HOA ban the American flag from being flown on her property? She also wanted to know, can the HOA tell you can not have an American flag? In this blog post, I will tell you what rights you have when displaying your American Flag when it comes to your HOA. I will also tell you your right for various other flags like ones that support sports teams. I know from personal experience that HOA’s can get power hungry and silly about rules but it is important to know the rights you have as an American and not let your HOA’s bully you into submission when it comes to the Amercian Flag. I have read stories recently and seen in the news how the HOA has been preventing homeowners displaying their own American Flags on their own property. Of course, homeowners are shocked by this and I was too. (WATCH This News Story Of A Woman Told To Remove Her American Flag From Her HOA ) I couldn’t believe that an HOA wouldn’t want the American flag shown year-round proudly in their yard. Some HOA’s believe that the American flag is a season item and need to be taken down after Federal Holidays. Many homeowners, myself included challenge this with the Federal law that was set in place called: The Freedom to Display the American Flag Act of 2005 (Pub.L. 109–243, 120 Stat. 572, enacted July 24, 2006) is an Act of Congress that prohibits real estate management organizations from restricting homeowners from displaying the flag of the United States on their property. I hope you display your American Flag proudly this 4th of July as you have the right to do so no matter what your HOA states. Be sure to check the restrictions to know where and the size of the flag that falls in line with the bylaws.